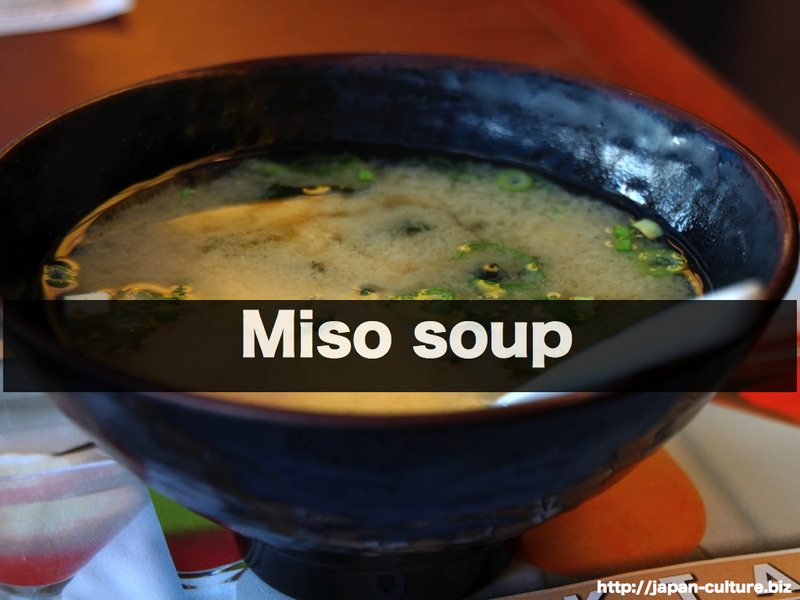 Miso soup is the most common side dish. 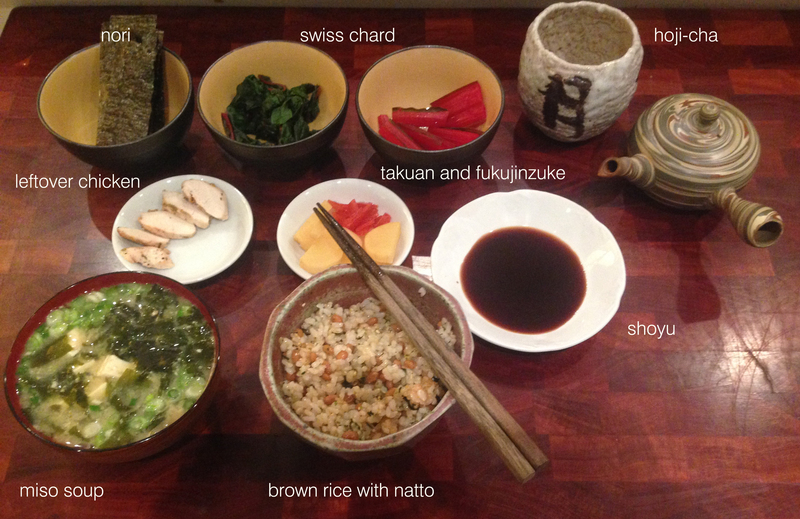 It goes with lots of Japanese foods. It is made using a soybean pastes called miso. We grow up with miso soup, so it is our comfort food. The soup is made with miso and fish or seaweed stock. You will typically find tofu and vegetables in the soup, but just about anything can go in it. There are different types of miso. Some are dark red and others are pale yellow. Miso is also an important seasoning for many Japanese dishes.